Bubble pop is an classic and amazing puzzle bubble popping game, also known as bubble shooter, bubble breaker game or jawbreaker. Select two or more adjacent bubble of same color and pop them – more bubbles you pop in a single click, more points you get. Goal of bubble pop game is to clear as many bubbles as possible. 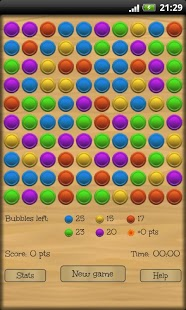 In bubbles pop game you clear 2 or more matching bubbles of the same color. The remaining bubbles collapse to fill in the gaps and new group of bubbles is formed. 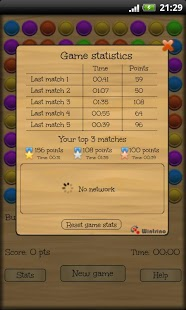 The idea is of bubble pop game is to remove as many bubbles as possible and achive as many points as possible. The bubbles pop game is perfect for your memory. 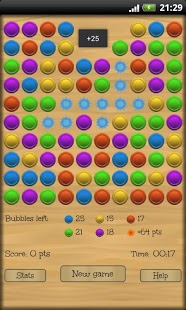 KW: Bubble pop game, bubble game, bobble pop, bobble, pop, shooter, bubble shooter, popper, bubble break, bubble blast.